A drunken mam who hurled abuse at passers-by outside a mosque and refused to leave found himself before Burnley Magistrates. A drunken Burnley man who caused trouble outside an Accrington mosque didn't know why he was there, a court heard. 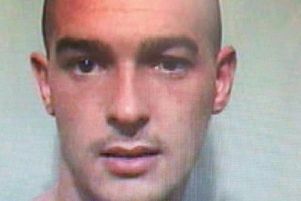 Burnley magistrates were told how Lee Robert Percival had been outside the Raza Jamia Masjid Trust Mosque for half-an-hour and had refused to leave. The 34-year-old had been aggressive towards passers-by at the Lower Antley Street premises and was swearing. Percival said he couldn't really remember what he was doing there. The defendant, of Bivel Street, admitted being drunk and disorderly in a public place, on Sunday, February 10th. He was fined £40, with a £30 victim surcharge, but the Bench made no order for costs.